"Stephen P. H. Butler Leacock (1869 - 1944) was a Canadian teacher, political scientist, writer, and humorist. 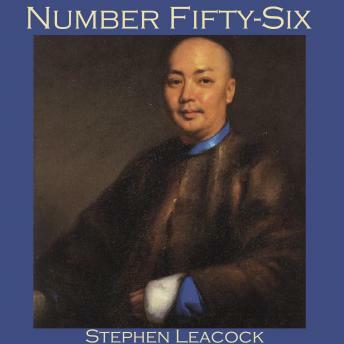 ""Number Fifty-Six"" is a humorous tale of a Chinese laundryman who gets to know his clients through their laundry habits. He is able to infer much from the state of the various shirts, handkerchiefs, waistcoats etc. which are delivered to him for washing. Of all his clients he is most fascinated by number fifty-six... a man with strangely fluctuating shirt habits. And then one fateful day, a dreadful set of laundry is delivered to him..."